Developed by leading European postural experts. Hard back equipped with asymmetric thermoplastic rigid heel counter inside for proper feet protection and stabilization. Ability to adjust the strap length to the different feet width. Ability to apply appropriate orthopedic insoles from the Memo system range to correct feet defects. 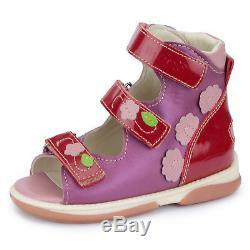 Flat inside, compatible with custom orthopedic insoles. Dynamic monitoring of feet condition : after 10 days of wearing rubber sole shows what type of Memo orthopedic inserts are necessary. 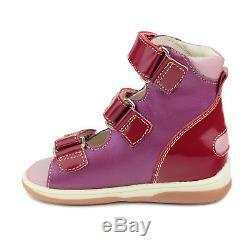 Build in Thomas heel in sizes 22-36. Two layer system to absorb external impacts. 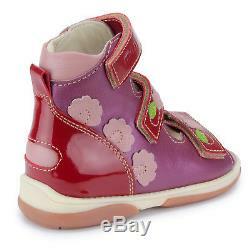 Made of soft genuine goatskin, foam padded upper elements. Suitable for children with cerebral palsy. GMFCS 1 and GMFCS 2. Endorsed by researchers affiliated with Children's. Memorial Health Institute, opinion No 78/DBC/2008. No 1 Children Orthopedist and Podiatrist Recommended Brand. Made in European Union , ISO 9001 Memo. Shoes have European size system. We recommend to measure feet length before selecting your size. Have your child stand on a blank sheet of paper. Make sure his/her weight is put on both feet. Outline the childs feet with a pencil or washable marker holding it upright and perpendicular to the surface/paper. Measure the length of the outline. Always allow for about 3/8 inch (1 cm) between the toe and the end of the shoe. Check the sizes chart enclosed below. For example: the outline lenght is 12,5 cm. It means that the proper size for your. Child is size 20 (13,3 cm). 18 EU - 3 M US Toddler - 4 3/4 - 12.0 cm. 19 EU - 4 M US Toddler - 5 - 12.7 cm. 20 EU - 5 M US Toddler - 5 1/4 - 13.3 cm. 21 EU - 5.5 M US Toddler - 5 1/2 - 14.0 cm. 22 EU - 6 M US Toddler - 5 3/4 - 14.7 cm. 23 EU - 7 M US Toddler - 6 1/16 - 15.3 cm. 24 EU - 8 M US Toddler - 6 5/16 - 16.0 cm. 25 EU - 8.5 M US Toddler - 6 9/16 - 16.7 cm. 26 EU - 9 M US Toddler - 6 13/16 - 17.3 cm. 27 EU - 10 M US Little Kid - 7 1/16 - 18.0 cm. 28 EU - 11 M US Little Kid - 7 3/8 - 18.7 cm. 29 EU - 12 M US Little Kid - 7 5/8 - 19.3 cm. 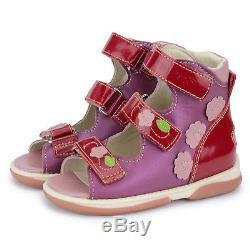 30 EU - 12.5 M US Little Kid - 7 7/8 - 20.0 cm. 31 EU - 13.5 M US Little Kid - 8 1/8 - 20.7 cm. 32 EU - 1 M US Little Kid - 8 3/8 - 21.3 cm. 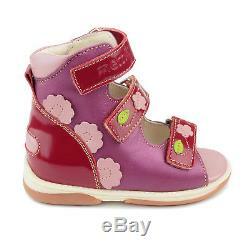 33 EU - 2 M US Big Kid - 8 5/8- 22.0 cm. 34 EU - 3 M US Big Kid - 8 15/16 - 22.7 cm. 35 EU - 3.5 M US Big Kid - 9 3/16 - 23.3 cm. 36 EU - 4.5 M US Big Kid - 9 7/16 - 24.0 cm. 37 EU - 5 M US Big Kid - 9 3/4- 24.7 cm. 38 EU - 6 M US Big Kid - 9 - 25.3 cm. 39 EU - 7 M US Big Kid - 10 1/4 - 26.0 cm. 40 EU - 8 M US Big Kid - 10 1/2 - 26.7 cm. Idea Memo Memos diagnostics area is its outsole and heel. They are divided into six numbered zones with cambered stripes. After wearing Memo shoes it is possible to access the degree of stripes abrasion. Depending on which zone is worn, insoles can be selected to correct the problem. This abrasion can also be very valuable information for your Doctor, Consultant or Physiotherapist. 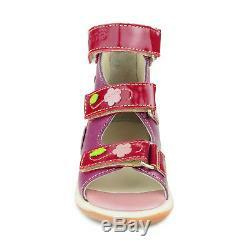 After a correct insole is selected it is advised that the child should wear the Memo shoes as often as possible. The period of use for Memo depends on the childs age and the intensity of the problem. Zone 1: Abrasion in zone 1 means healthy feet. In this situation Memo shoes act preventively. Zone 2: Abrasion in zone 2 indicates to use grey insoles, and wear Memo shoes continuously. When wearing grey insoles if abrasion continues in zone 2 then use an orange insole. If the abrasion area continues to be incorrect please consult your doctor. 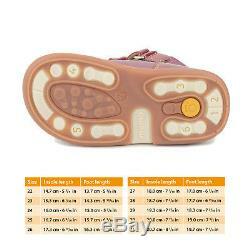 Zone 3: Abrasion in zone 3 indicates to use orange insole and wear Memo shoes continuously. If inappropriate abrasion continues consult your doctor. Zone 4: Abrasion in zone 4 indicates to use orange insole and wear Memo shoes continuously. It is also recommended to seek medical advice, as further intervention may be required. Zone 5: If abrasion occurs in zone 5 and/or 6 seek medical advice. Awards Memo shoes received a positive Childrens Memorial Health Institute opinion no 78/DBC/2008. Memo footwear models were evaluated by doctor of medicine Anna ukaszewska podiatrist, medical rehabilitation specialist Head of Pediatric Rehabilitation Clinic in The Childrens Memorial Health Institute. Published opinion confirms that Memo diagnostic footwear has positive influence on the childs foot growth and posture development, corrects foot complaints and simplifies rehabilitation process of children with functional defects. Memo System is well known among podiatrists and orthopedists. It is particularly recommended for the defects prevention and correction of existing abnormalities/deformities. Positive effect of using Memo System was confirmed by study in 2010. 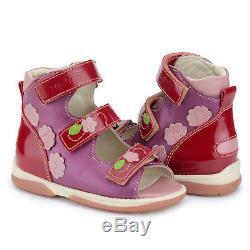 The item "Memo VICKY 3JE Pink Girls' Orthopedic Ankle Support Sandal (Toddler/Little Kid)" is in sale since Monday, October 12, 2015. 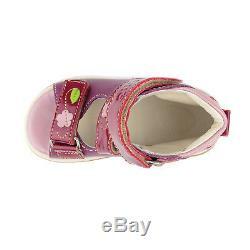 This item is in the category "Clothing, Shoes & Accessories\Kids' Clothing, Shoes & Accs\Girls' Shoes".inc" and is located in Sacramento, California. This item can be shipped worldwide.